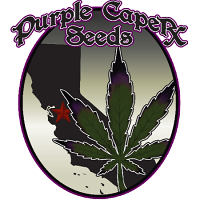 The Purple Caper has been growing in California for over 20 years indoors and outdoors. 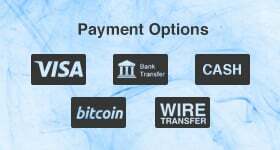 We are known for the best fathers in the Bay Area and Central Valley. 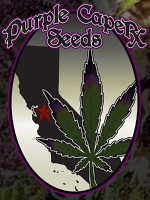 There is an abundance of Landrace, Heirloom, and Designer Strains here in California. We collect these from the most prestigious clubs and growers in the area. We then pollinate the best of the best with our best of 50 or better pedigree fathers for world class results. 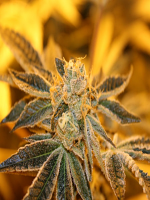 We specialize in designer strains with the biggest yields and highest quality. 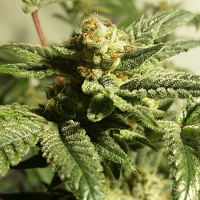 The first two successful strains created were the #1K and Chocolope Cheese. 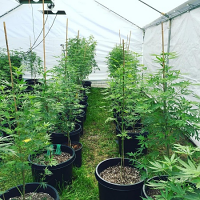 These are legends in California for the outdoor growers. 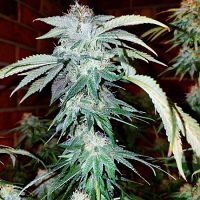 The #1K is a pure sativa crossed with a New Purple Power father. There is a father selected and backcrossed for purity. 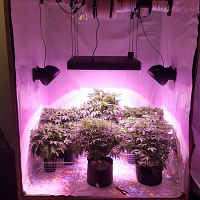 The female released is a very reliable plant and is the favorite of outdoor masters. 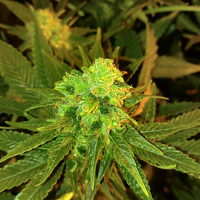 #1K phenotypes include The Stinky Armpit, Special K, and Green Fire. 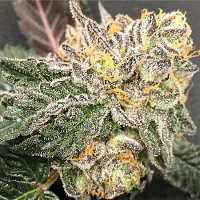 Chocolope Cheese is also famous here for tremendous outdoor topshelf yields. There is a father selected and backcrossed. There was also two females selected, both over a lb yield, a Sativa and an Indica phenotype, both amazing. Next was an imported male from Amsterdam. A pure Snow White was selected and backcrossed for purity best of 50 male then selected. These offspring work indoor and outdoor, and created legends like Chocolate Snow, White Grapes, White Chocolate, Snow Dream, and Yetti. Then introduced Purple Caper, which had been alive for several years, but not released. 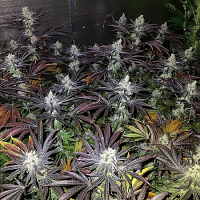 It is a cross of (Grandad Purple x Diesel) x (White Widow x Pure Indica). There is a father selected and backcrossed for purity. There is also 4 female phenotypes. Purple Caper (best medicinal pheno). Fire Lady (Highest THC/ Darkest purple pheno). Rocket Science (Best indoor pheno). Rocket Science XL (Best Outdoor pheno). 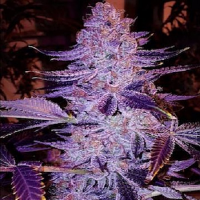 Offspring of the Purple Caper male grow best outdoor and smell amazing like tropical Fruit and are covered with crystals. Chocolate Kush is next. This is a cross of the famous Chocolope Cheese male crossed with a pure Moroccan Hash Plant. Then backcrossed for purity. This supersedes the Chocolope Cheese male . Amazing Sweet Kush! 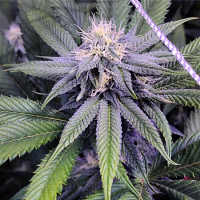 CottonCandy BubbleGum, A cross of two classics bred in an outdoor project for maximum results outdoors. This male throws truly amazing offspring. Girl Scout Cookie, Fire Lady, and River are new strains available here in California released in 2014. Still very rare only available at the best clubs.